Mass burial uncovered - Archaeologists believe decapitated remains are evidence of Alexander Jannaeus’ oppressive reign. During a salvage excavation in Jerusalem’s Russian Compound, the Israel Antiquities Authority (IAA) made a surprising - and horrific - discovery. Inside an ancient cistern, IAA archaeologists identified three stratum (or layers) of ancient material, dating from the Hellenistic to Roman periods. As they reached the earliest of these layers they were surprised to uncover the remains of numerous individuals, mostly women and children. It seems that the cistern was re-purposed as a mass grave, into which the bodies were thrown together and covered over with dirt and stones. Still more tragic was the revelation that many of the bodies had been decapitated - indicating that this was the result of an execution. Dr. Yossi Nagar, an IAA anthropologist, stated that they found over 20 vertebrae which had been cut by the sword, and also found cut marks on the chin and base of the skulls. As tragic as this discovery is, it may sheds some light on life in Jerusalem during the reign of the infamous Alexander Jannaeus. Known for his cruelty towards his Jewish rivals, Alexander Jannaeus was king and high priest of Jerusalem from 103-76 BCE. Kfir Arbib, who lead the excavation on behalf of the IAA, found pottery in the cistern which dates to the first and second century BCE, supporting the theory that the remains belong to Jews who fell as victims of Alexander Jannaeus’ tyrany. 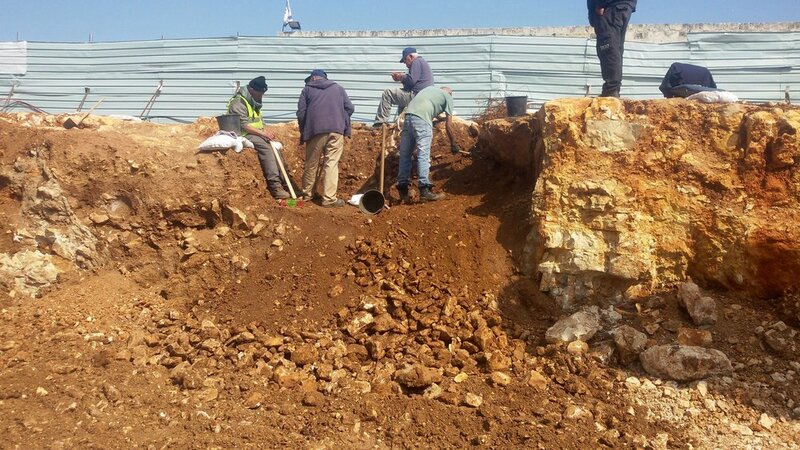 Arbib, Nagar, and IAA Archaeologist Tehila Lieberman presented their research of this find at the 12th annual conference of “New Studies in the Archaeology of Jerusalem and its Region,” held at the Hebrew University. They explain that during his 27 year reign, Jannaeus lead a succession of wars with the intention of expanding the Hasmonean kingdom for political and economic purposes. Various historic sources, including the writings of Flavius Josephus, verify that Alexander Jannaeus was not well loved by the Jews he governed. In The Antiquities of the Jews, Josephus recounts that upon one occasion, after an uprising during the feast of tabernacles, Jannaeus caught and killed 6,000 Jews. Josephus continues to say that over the course of the next 6 years, Jannaus put to death some 50,000 Jews (Antiquities 13.372-376). This burial is likely the material evidence of these historical accounts.